How could a watch that costs $76,000 ever have anything in common with a plug-in hybrid car, many of which are less than half that price? As unlikely as it sounds, there are genuine comparisons to be made between the incredible technology inside the Grand Seiko Spring Drive Caliber 9R02 dress watch, and the benefits of owning a plug-in hybrid car. 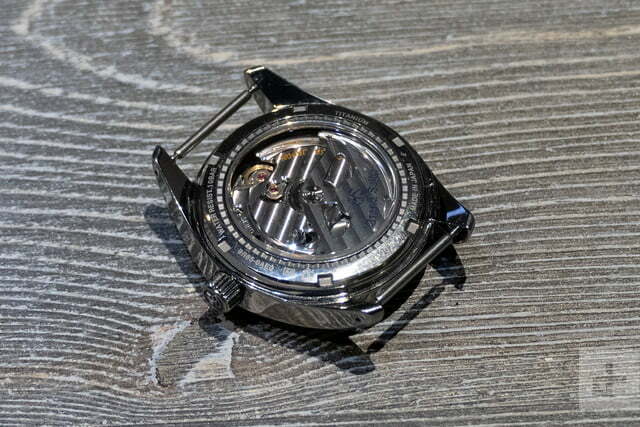 Digital Trends spoke to Grand Seiko about the 9R02 movement and what’s called the Torque Return System at Baselworld 2019 to get a better understanding. The pictures you see are of the Grand Seiko Spring Drive Caliber 9R02, a dress watch made to celebrate the 20th anniversary of the Spring Drive movement inside. It is a product of Grand Seiko’s Micro Artist Studio, where just 10 craftsman make each example of this beautiful timepiece by had, after having dedicated their working lives to perfecting one particular aspect of the process. This makes it unique already, but the technology inside is equally as special. The Spring Drive movement is an amazing piece of technology on its own, and to understand what makes the 9R02 special, we first need to explain how the Spring Drive itself works. It’s the result of 28 years work, beginning in 1977, that saw 600 prototypes developed to help create a movement that combines power from a traditional mechanical mainspring with the accuracy and reliability of a quartz system. There’s still a mainspring driving a gear train, but this is connected to a complex regulator that manages energy from a coil to activate the quartz oscillator, and ensure the mainspring unwinds at the correct rate for accurate timekeeping. As a consequence, the hybrid movement lost what makes other watch movements tick — the escapement lever. “When we first launched Spring Drive [in 2006], we called it the ‘quiet revolution,’ Grand Seiko Vice President Rusty Rowlands told Digital Trends. Not only is there no ticking sound, but there’s no stop/start release of energy as the second hand glides around the face, rather than ticking every second away. In motion, it’s utterly smooth and completely beguiling. The three-hand movement is made up of more than 200 components, with 80 different points that require hand-applied lubrication. Everything works in harmony, with fewer moving parts than other movements, and it has such tiny tolerances it’s set up by hand, not by machine. 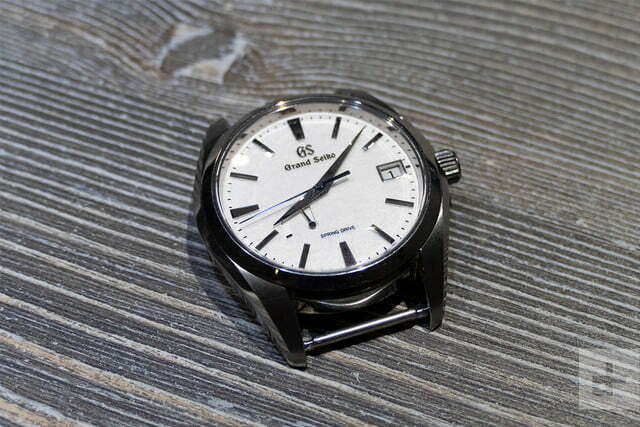 Rusty explained why Grand Seiko made such a movement. “It has the accuracy of a quartz watch, which is one-second a day [plus or minus], and none of the wear-and-tear of a movement with an escapement.” Accuracy, and durability — two of the watch world’s great loves. How does a mechanical device — there’s no ECU controlling the operation here, remember — know when to give its power boost back to the mainspring? It waits for the power reserve indicator on the watch face to reach a certain point. It almost sounds too simple, but that’s the beauty of this complex, yet wonderfully simple design. Now you’re probably beginning to see how parallels can be drawn between the delicate 9R02 movement and a plug-in hybrid car. Think about a plug-in hybrid’s versatility. You’ve got a combustion engine, a battery pack, and a way to charge it externally without relying solely on kinetic recovery or the engine to regain energy. It’s the best of all worlds, in one convenient package. The 9R02 does the same thing. It has the everlasting power of a mechanical watch, as well as the accuracy, reliability, and durability of quartz, plus a unique way of collecting wasted energy to be reused. Except here, all this is performed without a battery or a computer watching over the process, inside a movement that’s the same size as a coin in your pocket, and eventually in a glorious timepiece worn on your wrist. There are two new Grand Seiko watches with the 9R02 movement inside.The Spring Drive thin dress series is a mere 9.8mm thick, and made from platinum with the iconic Grand Seiko snowflake finish on the face. The hands and hour markers are made from 14-karat white gold, parts of which are etched and placed on the face by just one person in the Micro Artist Studio. It’s a wonderful piece and just 30 have been made, at a price of $76,000 each. They’ve all been sold too. 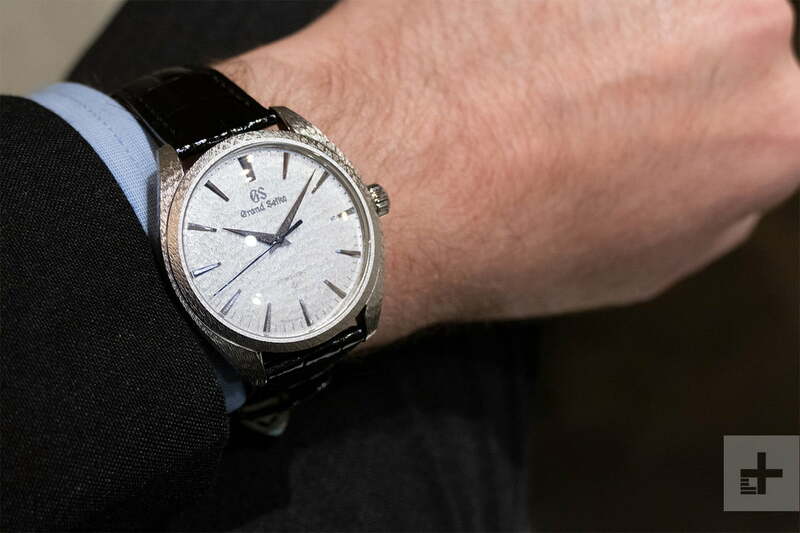 There is a slightly cheaper version with a satin silver dial for around $55,000. From the gorgeous snowflake watch face and etched Grand Seiko logo, to the delicate intricacy of the Spring Drive 9R02 movement, these watches are stunning pieces of art. 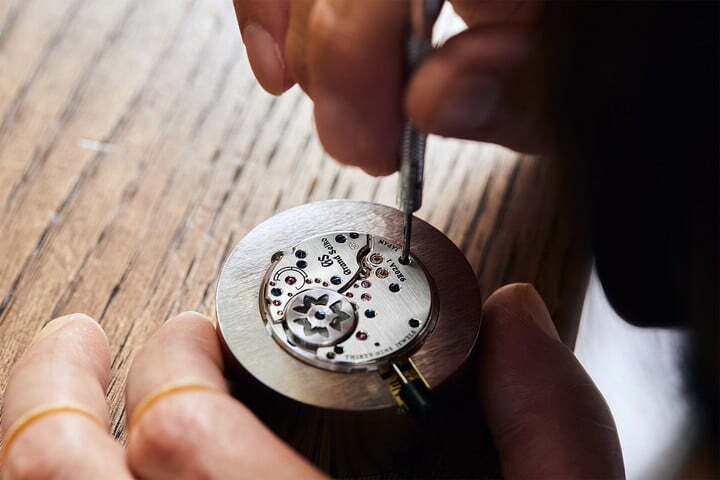 But because of the astonishing work that goes into creating the unique, hybrid movement, they appeal to the geeky as well as the watch collector. While most of us will never be lucky — or wealthy — enough to own a Spring Drive 9R02 watch, understanding what makes one special means appreciating it in a new way.